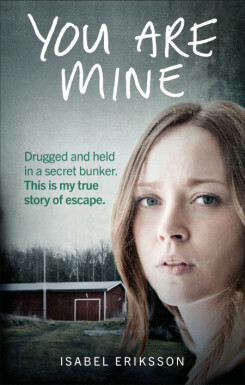 Andrew Lownie Literary Agency :: Book :: You Are Mine: Drugged and Held in a Secret Bunker. This is My True Story of Escape. "I'm not going to let you go. It took longer than I'd bargained to get you unconscious. I'm planning to keep you here for a couple of years or so." When Isabel Eriksson wakes up she’s not sure where she is. She’s got a needle in her arm. Next to the bed a man is sitting and staring at her. He tells her that he intends to keep her locked up. Isabel realises that the only way for her to get out alive is to somehow make him release her and so a psychological game begins.